Why does there have to be conflict between my personal life, my family, my professional development and my performance in the company? This book proposes a series of practices and exercises that serve as orientation in this journey that begins with a reconciliation with oneself and then opens to the elements that make up our lives: our partner, family, company, work and, finally, society. Once we are able to know our mission and be coherent and faithful to it, all the elements become integrated and acquire meaning and transcendence, providing us with that pleasing spiritual and physical satisfaction that will give us the possibility of leading a full and happy life. 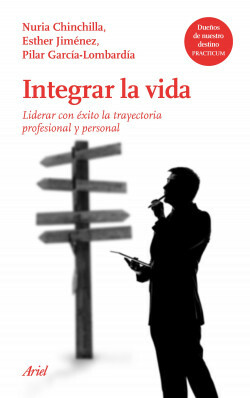 A practical book to learn how to harmoniously integrate all areas of our professional and personal lives.